Join us for our annual tree Holiday tree lighting. 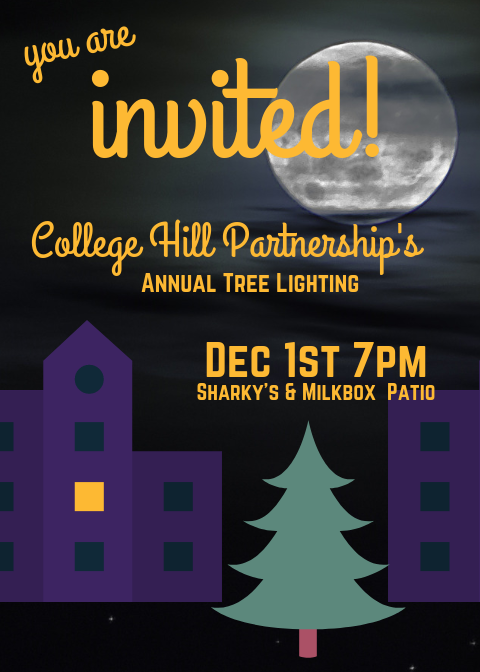 Meet us in Sharky’s & Milkbox patio for music and a tree lighting. A big thanks to JoDee from Subcity in helping us ge t the perfect tree for this Holiday Season. 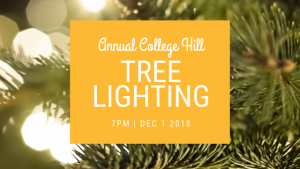 We are excited to have some Cedar Falls students sing some holiday carols for us prior to lighting the tree. Make sure you bundle up and bring a friend. Tree will be lit a 7pm stay tuned for exciting events to follow at your favorite College Hill establishments.